In keeping with our goal to consistently avail our esteemed clients and advertisers with the best out of home media at pocket friendly price, we are delighted to introduce LED Illuminated Bus Sides Advertising, the first of its kind in Nigeria. Illuminated Bus Sides Advertising is LED illuminated advertising backlit boxes mounted on the driver and passenger sides of a bus. Illuminated bus advertising backlit boxes are manufactured with ultra slim and sleek LED technology. All the illuminating components are fully waterproof and protected from the harmful effects of dust and vibration. LED operates in both extremities of outside temperatures – in -30°C as well as +80°C. In addition to these qualities, LED is the best source of light in relation to its operating temperature. LED illuminated backlit boxes are constructed of only the best components and materials and are designed to endure extreme cold and hot weather conditions. LED-illuminated bus sides advertising provide brands with non-stop campaign exposure day and night. Brands continue to gain an equal level of consumer exposure and engagement day and night. Gain increased visibility and mileage especially at night when competing brands are losing visibility at night fall. These evenly backlit mobile advertising platform create additional opportunities to be seen and increases campaign ability to reach new consumers and audience who would not normally see campaign in the day. With the increasing traffic congestions in Nigeria economy nerve centre of Lagos, LED illuminated bus sides advertising provide continuous visibility to audience with long and undivided attention in gridlock traffic at night. The platform enables brands with low visibility and budget to compete on equal level with competing brands on super sign and LED billboards with increased visibility at night. 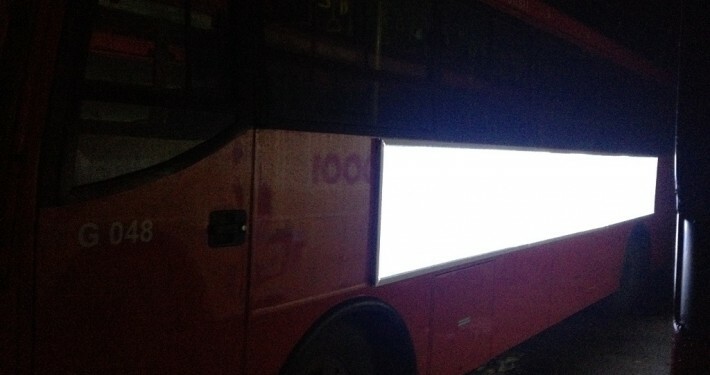 The most important feature of LED illuminated bus sides advertising are that they are maintenance-free. This is made sure by hundreds of tiny LED-lamps on the edges of the advertising surfaces. Advertisers only have to take care of changing campaign messages at will. Even this has been designed to keep it simple. The aluminum frames of illuminated advertisement billboards can be completely opened up, making the replacement of advertisement materials quick and easy without the use of tools. Our choice of Ajah-Lekki-Victoria Island, Falomo-Awolowo Road through TBS-CMS was informed by the high impact traffic and excellent road network for this call to action OOH media. Eye Catching, Grap Attention, Get Results. Ensures continous visibility at night. Designed to keep advertisements safe, clean and neat. Easy to replace, easy to maintain. Safe display material through–out campaign period, no additional printing cost for extended ad. High quality print materials and easy to replace. Rates and discounts are based on bus units and campaign duration. 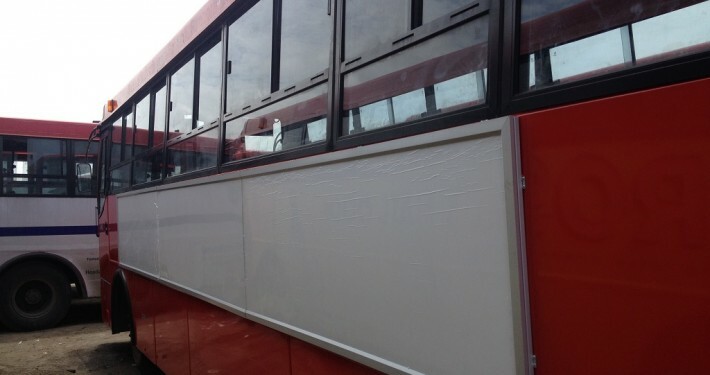 Each bus has two equal size panels on either side. A minute daily video advert (minimum of 10 slots daily) on our inboard TV advert screens will be giving to advertisers as complementary, depending on the units and duration of campaign on the illuminated bus sides. Please quote “Illuminated Bus Advertising” as subject for Message & Email.